KILLER SHARK Fans Beware! THE REEF will make your JAWS drop! I consider myself an “animal person” as illustrated by my volunteering at Chicago’s Brookfield Zoo – which does a tremendous job as a leader in animal conservation initiatives, as well as educating the public on their importance to the ecosystems they belong. This, however, does NOT make me immune to the fear of sharks. I remember years ago visiting Santa Catalina Island off the coast of Long Beach, California. There is a beach on this island that has the distinction of being the only one in the country where a waitress walks around asking if sunbathers would like to order cocktails. I was wading close to shore when one of the lifeguards said, “Don’t worry. 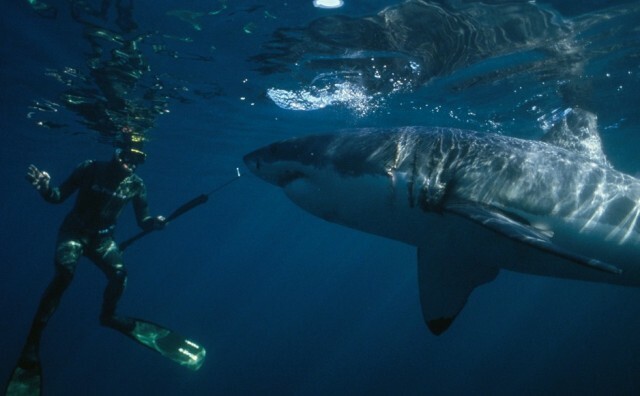 The closest Great White shark was seen three miles out!” If that had been meant to encourage me, it didn’t work! At that moment, the realization that I was entering the territory of the ocean’s top predator hit me like an anchor and there wasn’t enough booze in that cabana to make me feel comfortable enough to venture any further! JAWS was a meg-hit back in 1976, prompting numerous sequels and scores of European rip-offs. Shortly after the dawn of CGI technology, a new crop of killer shark films would emerge – showing now signs of letting up in the near future. 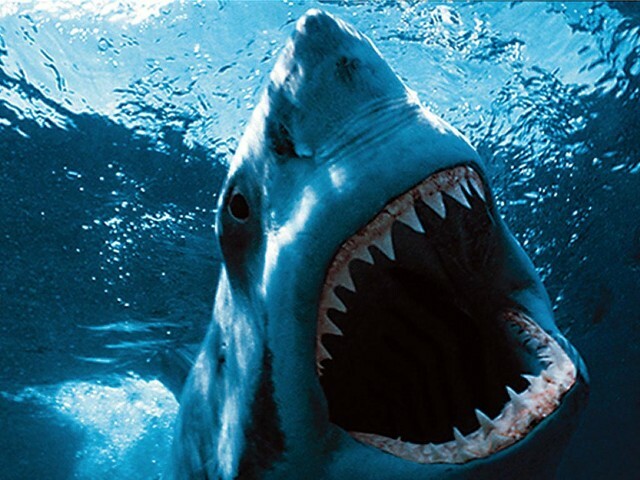 JAWS would also have an effect on the natural world as fear of the animal reached fever pitch and, along with that, a damaging worldwide hunt of the animal began. 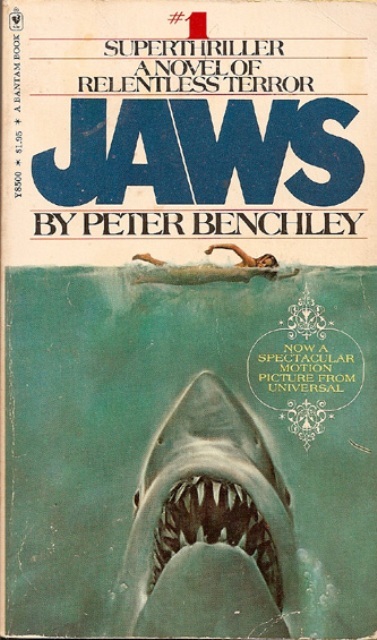 The book’s author, Peter Benchley, would later devote the rest of his life towards shark conservation in the hopes of dispelling some of the negative effects his story had unintentionally evoked. 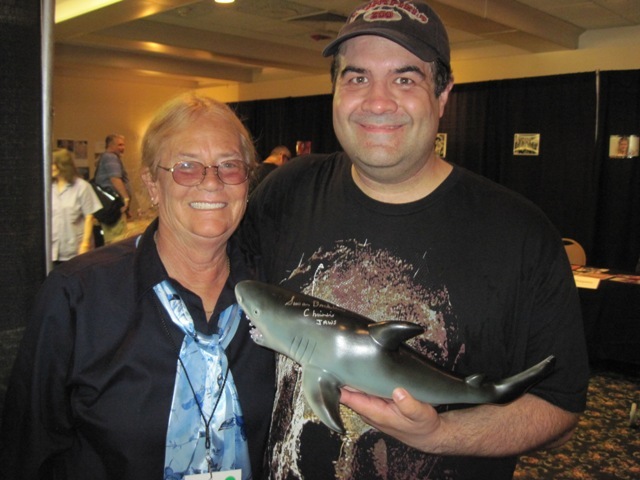 The entertainment industry would no doubt agree with Benchley that the world is certainly better with sharks in it. 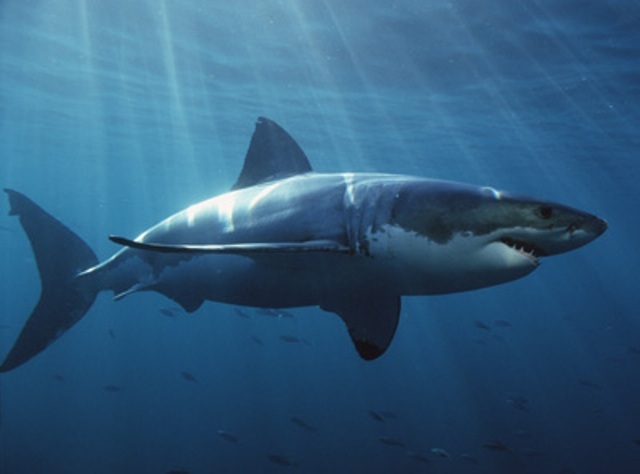 Whether you love or hate them, they are BIG business as illustrated by The Discovery Channel who recently aired their annual (and extremely popular) “Shark Week” programs. I always enjoy watching those shows while also being slightly amused at how deftly they try and balance the divisive views of sharks. Usually you spend an hour watching a show that talks about how shark attacks are on the rise, eyewitness tales from folks who found themselves at the wrong end of the food chain, and dramatic re-enactments of the ensuing panic they create. Then, at the end of show, they throw in the message – “shark attacks are extremely rare and we are more of a danger to them than they are to us.” I guess you can’t really blame them for their mixed messages. After all, how can you inspire conservation and educate people about misunderstood fish without first reeling in (no pun intended) some viewers? In this regard, television has been more successful than Hollywood. 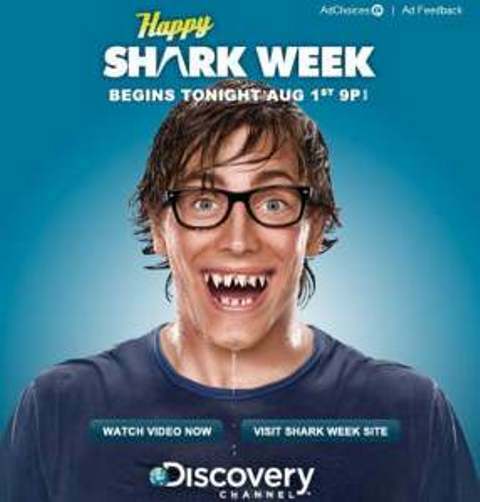 The simple fact remains that despite the numerous films found in the ever-growing “killer shark movie library,” none have ever managed to capture man’s primal and innate fear of the animal as JAWS did. I am happy to report, however, that one may have actually just done so. 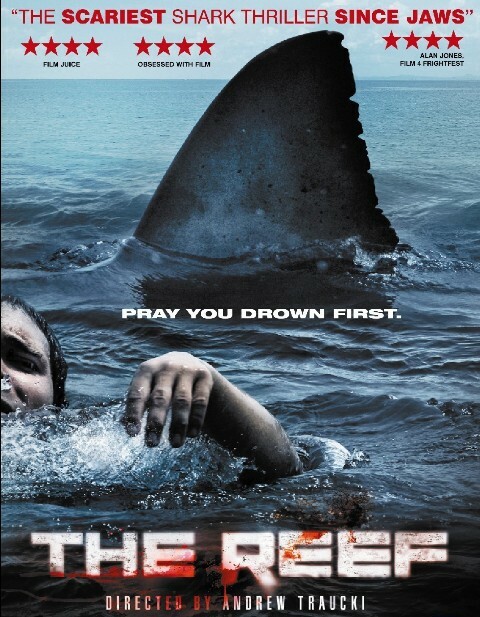 Last week I brought home the 2010 Australian thriller, THE REEF, from my local video store and was not disappointed! The story is “based on true events” and deals with a group of friends who decide to vacation together at a remote island. Good times are had by all despite the lead couple dealing with a “she’s just not that into you” scenario. Shortly after embarking on their journey home, their small boat mysteriously capsizes and they find themselves making a decision that I’d NEVER want to face! Do they stay on the sinking boat, hoping to be rescued before it eventually goes under? Or do they grab some life vests and attempt to swim back to the island, now too far to be seen? The majority decide to take their chances and make a swim for it in the open ocean – hoping they’re even going in the right direction. While no shark had been spotted, the idea that one is out there is ever present and the viewer finds themselves holding their breath whenever one of the swimmers dons a visor to look below for any signs of one. Eventually all fears are realized (the characters and the viewer’s) as the group does, indeed, attract the attention of a hungry Great White! When you should really be afraid to look! At first the movie was, in many ways, reminiscent of the film OPEN WATER (also based on true events). In that film however, once the initial terrifying moment of being abandoned in the ocean sinks in (again, no pun intended), the film quickly reverts to more of a “waiting game” as opposed to a taught thriller. This is where THE REEF finds itself far more successful. This shark isn’t just waiting, he’s stalking, and his terrified prey soon find themselves slowly diminishing in number while wishing they could recant their choice not to have stayed on the boat! One of the selling points of this film was the fact that they don’t resort to CGI technology nor a robotic shark but actually use a REAL one. At first I wondered how big a difference this would make in lieu of all the amazing underwater footage seen of Great Whites via the aforementioned documentaries. I was shocked to discover that it would make ALL the difference in the world! Seeing people swimming openly with a real shark nearby made the peril of the characters really hit home! It totally raised my fear level to all new heights and steadily kept it there. In fact, I soon found myself feeling the same visceral reaction to this film as when I first saw JAWS – completely relating to the panicked swimmers while gritting my teeth throughout. One part caused me to actually leap from my chair, causing my kids to start cheering as they FINALLY got to see their old man get scared while watching a movie. My wounded, paternal pride not withstanding, this movie is a must see! In fact, the tension and suspense will take you straight on till the end credits. 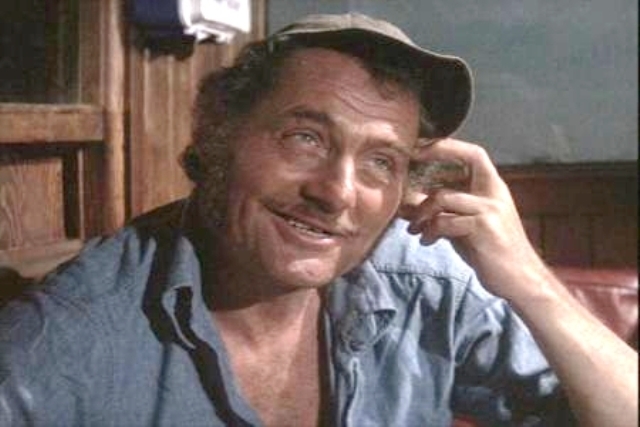 We all remember the scene in JAWS where Quint tells his captivating story of being aboard the ill-fated U.S.S. Indianapolis. Quint talks of his days adrift at sea as his comrades are picked off, one by one, by hungry sharks and states that he was never more scared than when the rescue copters finally arrived – and he was waiting for his turn at salvation. This film’s climax shows that Quint sure knew what he was talking about as the prospect that the swimmer’s may actually survive makes the possibility of their death become even more powerful! Tell me a bed time story, Mr. Quint. All you do is take a single/normal-sized shark, along with a credible group of humans….and just add water! This entry was posted in Man vs Nature!, Movie Reviews and tagged Discovery Channel, Great White Shark, JAWS, Shark Week, Susan Backlinie, THE REEF. Bookmark the permalink. ← HORROR HOSTS & POLITICS: Dr David Lady on the Big Top Radio! The Reef was way more frightening than Jaws–no comic relief, just total terror.